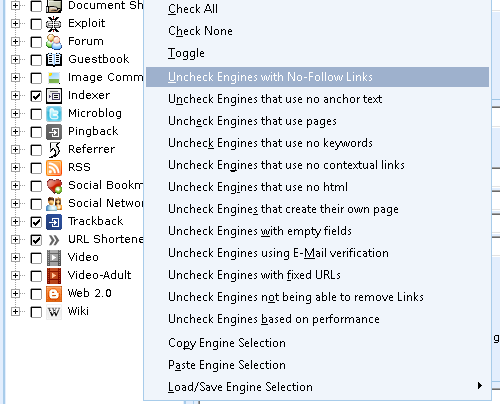 how to CHECK engines that use only NO FOLLOW — . :: GSA SEO & Marketing Forum ::. Wanting to uncheck engines that use do follow / only build back links from no follow sites. i want to check engines with no follow links though. I only want to build no follow links for this campaign.